Local recruitment agency, Wote Street People, won Student’s Choice at the recent Skills Tree Awards. 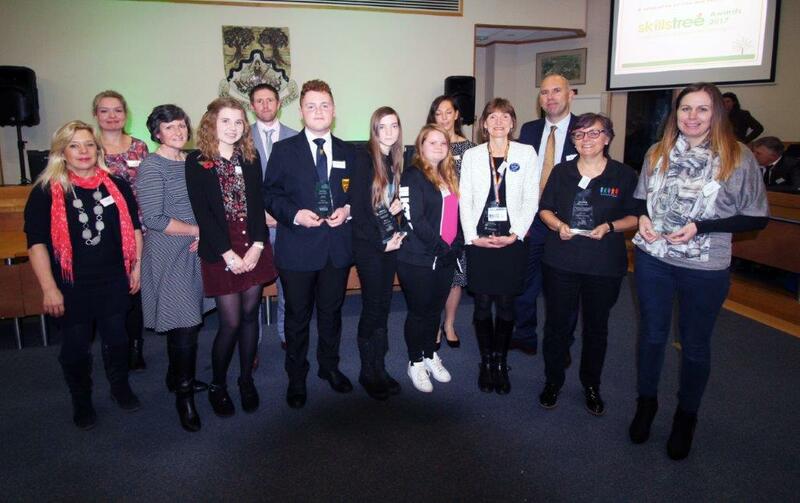 The ceremony was held at BDBC Council Chamber on 7th November and organised by Basingstoke Consortium; an education charity that works with the area’s young people. Their goal is to help students gain the skills and confidence for adult life through work experience, careers guidance, and volunteering. 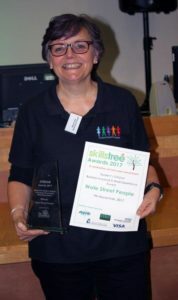 Wote Street People, an employment agency that has been matching candidates and employers across Basingstoke for over 28 years, was nominated for the award by a student of The Costello School. She completed a period of one week work experience at the popular job agency earlier this year. Where she was given the opportunity to get a taste of a wide range of duties; from statistical and administrative work, to exhibition attendance and client visits. “We’re beyond thrilled to have won the Student’s Choice Award. We’ve worked with Basingstoke Consortium and local students for over ten years because we wholeheartedly believe that by providing practical opportunities for young people to experience the world of work, we can inspire tomorrow’s talent. Winning this award is both a testament to that belief and fuel for our enthusiasm to continue supporting young people. As our work experience student has an interest in sound production, Wote Street People took her to Premier Business Audio, award winning market leaders of on hold messaging. They provide creative scripting and messaging promised to ensure a great caller experience every time. With over 500 million listeners of their on-hold messaging and music worldwide every year; Premier Business Audio are the trusted provider by brands of all sizes. With their in-house cutting edge studio and talented team; they offer professional delivery and a great service, providing a great way to promote your brand and inform customers. They were so impressed with the Costello student they offered her 4 days’ work experience themselves. Basingstoke Consortium recently announced that their valued work with young people in Basingstoke will continue as part of a merger with EBP South. Both charities are education business partnerships committed to bridging the gap between school and work. Young people, schools and businesses across a wider area will benefit from the merger.